Night feeds are simply a part of early parenting. All babies need them in the early days and all babies outgrow them in time. What you should expect at different ages? If your baby is born with higher needs than most babies, for instance if your baby is born prem, is ill or failing to thrive, you will be advised to wake your baby at night. In these circumstances, you may be told to wake your baby three hourly at night or to wake your baby at specific times. This is the only circumstance when babies should be woken at night. Be sure to keep these night feeds very calm and subdued so that your little one settles back to sleep as soon as possible. As soon as she is on the track to gaining weight nicely, ask your health care provider when you can stop waking her. 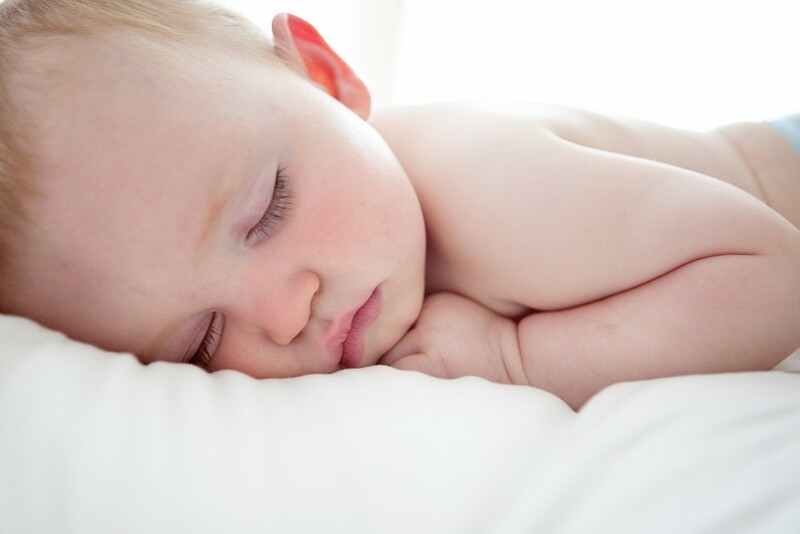 If your newborn is a healthy little one and is gaining weight, there is no need to wake her at night. Allow her to wake on her own and do not be tempted to follow advice to wake her for a ‘dream feed’. Dream feeds are not conducive to setting the stage for good sleep long term. You can expect your newborn to wake 4 hours after falling asleep for a feed and then three hours thereafter until morning. If your newborn does sleep for longer stretches, it is absolutely fine to leave her to wake on her own. Some babies sleep through as early as 6 weeks and this is fabulous and no need to worry that she is stretching so long without a feed. By two to three months most babies are stretching for 6 -8 hours before needing a night feed and then three hourly thereafter. If your baby wakes more than this, try to cluster feed in the evening before 8pm to top her up so she sleeps for longer. Two or three extra little snack feeds at this time can help. If she wakes consistently three hourly at night and yet is gaining good weight, you can start to stretch your little one with a dummy or a little water at the first night waking. Be sure to do all night feeds quietly and calmly and not to burp your little one for longer than 5 minutes. Many babies regress in their night wakings as they approach 4 months. If your little one was stretching to the early hours before needing a feed and suddenly picks up the 11pm feed again and is generally hungry, it may be that she is not fully satisfied nutritionally. Initially reintroduce the feed she is waking for. If this night waking persists and your baby is hungrier during the day too, it may be time for solids. By now your baby will have stopped soiling her nappy at night and it is fine to leave a wet nappy on for the night, without a change, if your baby has not poo’ed and does not have a tendency for nappy rashes. By not changing the nappy and keeping night feeds quiet, you have more chance of your little one settling off to sleep immediately after the feed. Soon after 6 months of age your baby should be sleeping through the night without needing nutrition – this means 8-10 hours of uninterrupted sleep. If your baby needs a feed at 4am, do so quietly in her room. You may need to break the habit, if your little one wakes repeatedly to snack on the breast throughout the night. No night feeds are needed before 6am. If your toddler feeds at night, she is likely to be a fussy solids eater during the day. It is time to explain that she doesn’t need milk or you can say: “The Kitchen is Closed”. Keep the reason concrete and consistent. This entry was posted in 1-3 Months, 3-6 Months, 6-12 Months, Baby, Feeding, Sleep, Sleep, Toddler Talk and tagged Breast Feeding, Night Wakings, Solids.